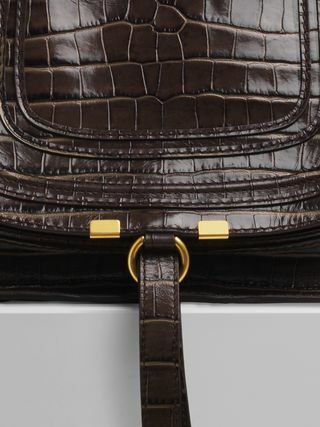 The Maison’s iconic Marcie double carry bag pairs clean lines and a curvy design with luxurious croco effect calfskin revealing an embossed, bi-colour finish. 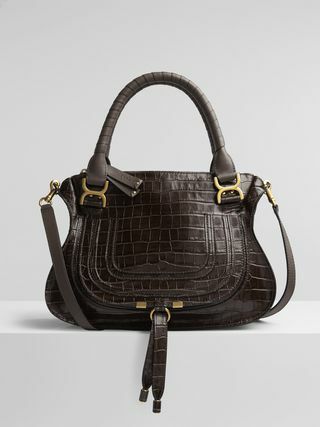 Decorative saddle stitching, hand-wrapped leather handles and hanging leather strips add decorative details. The signature “X” handle attachments bring refined contrast. Roomy and practical, Marcie works for any occasion. 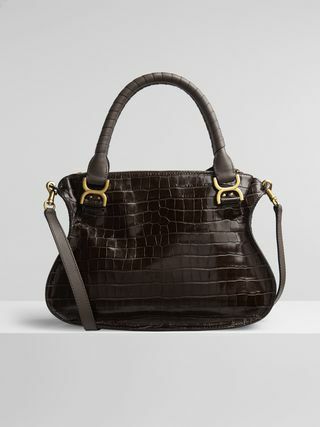 The detachable strap allows for a casual, cross-body styling.